February might be the month of love, but don’t get too misty-eyed or you’ll miss out on these happenings taking place in a city somewhere near(ish) you. Brought to you from our friends at Luxe Guide who always have their finger on the luxe pulse. Unless you’ve actually been living on the moon, you can’t avoid February’s biggest event: Lunar New Year, celebrated as Chinese New Year, in, well, China and Tet in Vietnam… with other cities from NYC to London also welcoming the Year of the Pig with parades, parties and lest we forget, maximum shopportunity. Highlights in Asia include Hong Kong’s firework display taking place over that harbour (6th Feb) – avoid the hordes crowding the TST Promenade and beeline instead to Café Grey Bar at the Upper House for a FROW perch with a glass of fizz (reservations essential). We’re also partial to a peruse of the flower markets in Causeway Bay’s Victoria Park in the run-up to New Year’s Day (30 Jan-5 Feb). 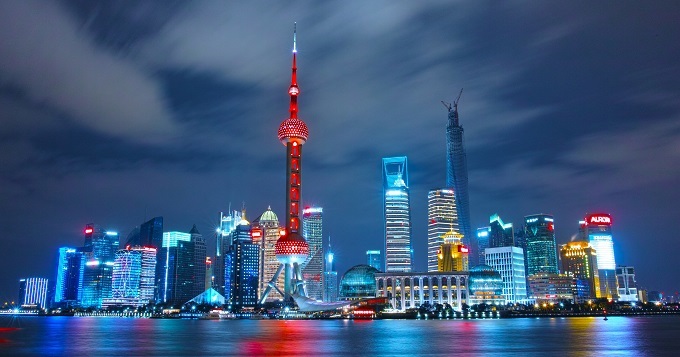 Equally spectacular are Shanghai’s pyrotechnics and The Peninsula’s Sir Elly’s Restaurant on the Bund which serves Michy-starred mod European fare with va-va-voom vistas of Pudong and the riverside illuminations. Channelling a more traditional vibe, the Lantern Festivals in Shanghai and Beijing are a pretty-as-a-picture finale to the Spring Festival on 19 Feb. Beijing's Ditan Park, and its Temple of the Earth, is especially beloved for its folk ceremonies and performances; the city's only Imperial-themed fair at Yuanmingyuan (The Old Summer Palace) includes ice skating and heritage costumes. Gong Xi Fa Cai!! Contemporary aesthetics would not be what they are without Bauhaus, and 2019 marks 100 years since the hugely influential school of art, architecture and design was founded. Berlin is commemorating the anniversary with 'Bauhaus Centenary: 100 Years of Rethinking the World' – a year-long program of events and exhibitions across several groundbreaking venues. As one might expect from the edgiest of capitals, the Berlinale Independent Film Festival (7-17 Feb) has an avant-garde, low-fi vibe oft with a more esoteric line up to match. While it lacks the glamour of Venice or Cannes, the program of films and workshops provides stimulus for eyes and mind; this year’s focus is on women filmmakers between 1968 and 1999. The wondrous Mardi Gras festival struts into town on 15th Feb for two weeks of LGBTQI arts, performance, sports, talks, workshops and parties, culminating in the Pride parade on Sat 2nd March – hands down the most fabulous party in town. Cutting-edge art rubs shoulders with celebrity at the first edition of Frieze Los Angeles, a four-day showcase of contempo talents by 70 forward-leaning galleries at Paramount Studios. Wanting more? Sign at www.luxeguide.com for your exclusive copy of the LUXE Events Calendar 2019; a definitive guide to 35 events and festivals worth travelling for.